Well, what can I say? The past eight weeks have totally flown by, and looking back on my experience I have come to appreciate how valuable it has been not only to my education, but also to my professional and personal development. 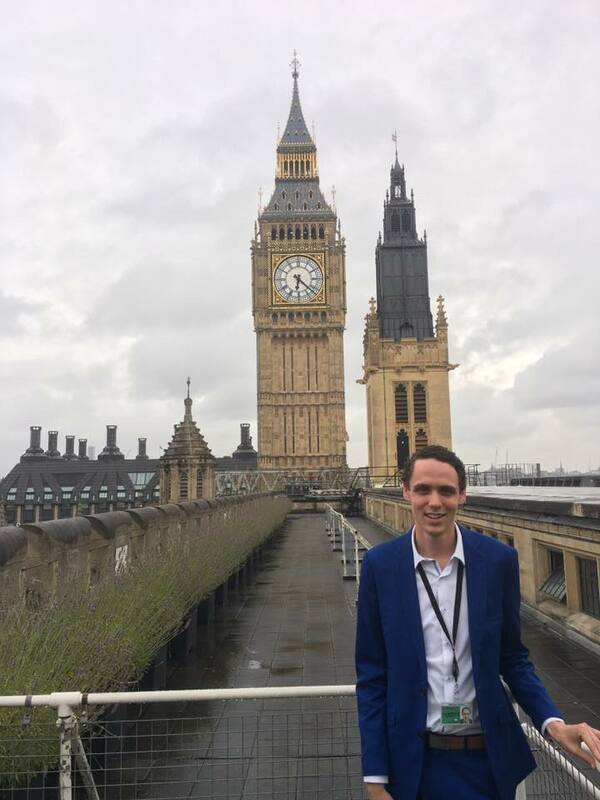 The Hansard Scholars’ Programme did indeed provide me with a very in-depth immersion into British Politics, and real world industry experience as a Parliamentary Intern. I was also very lucky to be in the United Kingdom at such a unique and mesmerising time, for the 2017 General Election, following last year’s referendum to leave the European Union. The program was jam-packed with classes, the internship placement, guest lectures, political campaigning, tours and events, a study trip, assignments and an exam. This is of course in addition to the usual sightseeing and experiences necessary when living in London. At first, I thought eight weeks in London would be long enough to see it all – how wrong was I?! I already have started compiling my list of ‘things to do’ on my next trip to London!! As my first experience studying abroad, London ticked all the boxes and was a wonderful place to live, work, study and play in and I cannot recommend it as a destination highly enough. I was also lucky to be part of a well-rounded and involved study program and can wholeheartedly recommend the Hansard Society’s Scholars Programme to any politically-interested students, as a fully inclusive study abroad experience. A leading British think tank, the Hansard Society has a very prestigious standing and I am privileged to be an alumni of such a reputable society. 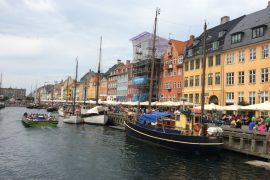 Now that the program has concluded, and considering I have come this far from home, I thought it would be somewhat criminal to not explore further afield – I am in Europe after all!! 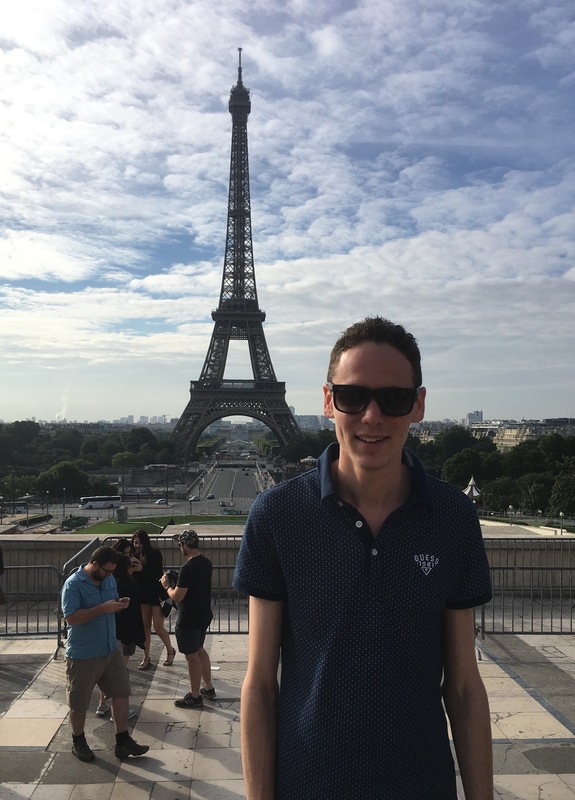 Following completion of the program, I have travelled from London, firstly through to Paris where I spent Bastille Day and was able to see all of the usual sights. I then travelled further South through France’s Loire Valley to Bordeaux – one of the biggest wine regions of France. After sampling the local delicacies (which saw me go fromage crazy as well), I continued through more picturesque countryside to Carcassonne which is host to a stunning 12th century walled-castle and city. I then continued further south through the country of Andorra to the home of Tapas and where the Sangria doesn’t stop flowing – none other than Barcelona, Spain. 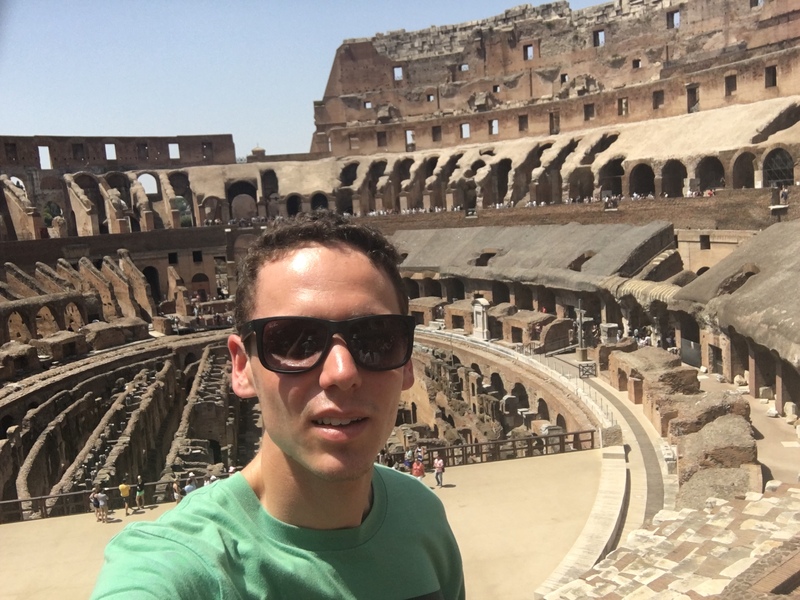 Finally, I was able to visit Italy, seeing Rome and Florence, before heading back to Australia ripe and ready for Semester 2. This experience was literally the ‘icing on the cake’ to the marvellous experience I have been immersed in over the past 10 weeks in Europe. I am very appreciative for this opportunity which has seen me grow in more ways than I ever could consider. This is not to mention the valuable connections, friendships and experiences I have gained which will last a lifetime. 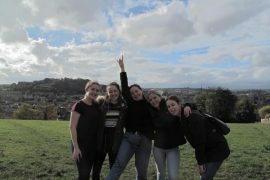 Advice wise – I would wholeheartedly recommend studying abroad as part of your degree. To anyone pondering over it – just do it. 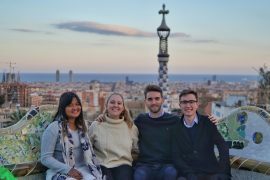 In a world that is becoming increasingly global, international study experience becomes even more desirable, due to the substantial skills and involvement it enables you with. This is not to mention the wealth of cross-cultural training you gain as part of a study abroad. I am very excited to apply my new skills and experience in my final semester of my undergraduate degree, and beyond into the future. I have been very lucky to have had the support of many QUT administrative and academic staff throughout this process and cannot speak highly enough of my study abroad experience. This now concludes my blog about my study abroad, and I truly hope you have enjoyed reading about my experience. Feel free to reach out if you have any questions – I can be contacted via m8.jensen@connect.qut.edu.au. My last day of work in Parliament. Amazing views from the rooftop of the Palace of Westminster! I’ve loved reading your well written blogs. What an awesome experience to cherish always. Likewise Matt, and it was a joy to meet up with you and spend a happy day chatting about your experiences Nd catching up on family news!